A major development in the study and practice of local history has been the recent growth of the internet. One Google search will bring up more local history and archaeology websites than you can shake the proverbial stick at. Here are just some websites of local interest. Click on the blue link and the website will open in its own window. 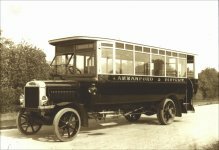 History of the Town of Ammanford Website devoted to Ammanford and its history. There are sections on History, Photographs, People, Sport, Places to Visit, Churches and Chapels, plus a bibilography of books and related websites. Ammanford Fire Brigade An extensive and detailed history of Ammanford's Fire Service, complete with photogaphs of many major fires. Written by a former firefighter, it also contains a lot of Ammanford's history. 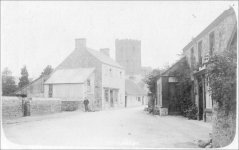 A History of Llandeilo Extensive history of the nearby town of Llandeilo from pre-historic time to the present. Pantyffynnon Communities First The Communities First programme is a long-term strategy for improving the living conditions and prospects for people in the most disadvantaged communities in Wales. The programme seeks to ensure that the funds and support available from the Welsh Assembly Government and other public sector agencies are targeted at the poorest areas. This web site should tell you everything you need to know about Communities First Pantyffynnon, its people and activities. Also contains a brief history of the village of Pantyffynnon. Parish of Betws with Ammanford Website for the parish of Betws with Ammanford (All Saints church, Ammanford; St Michael's Ammanford; St David's, Betws; St Thomas, Wernoleu). The Community of Betws Extensive website for the community of Betws just across the river Amman from Ammanford. Carmarthenshire Antiquarian Society The Carmarthenshire Antiquarian Society was founded in 1905 and is one of the foremost County antiquarian societies in Wales. From its inception the founding members saw a need to record, publish and collect all things relating to the history, antiquities and natural history of 'Carmarthenshire in particular, and West Wales in general'. This philosophy has been maintained throughout its history. 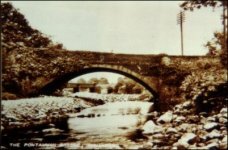 It has pursued part of its aim through scholarly publication through the Transactions (to 1939) and the Carmarthenshire Antiquary (1941 to present). It started as a 'field club' and remains so to this day with its active programme of Field Days, supplemented by a winter programme of lectures. Carmarthenshire Historian Run by Carmarthen Community Council, this was for a while Carmarthenshire's other historical society. Founded in 1961, it ceased publication in 1985. Their website contains online versions of articles published between 1961 and 1985. Castles of Wales Website devoted to Welsh castles. Over a hundred essays by professional historians or archaeologists, including photographs and site plans. Includes the nearby castles at Carreg Cennen, Dinefwr and Dryslwyn. There is also a data base of over 400 castles with their Ordnance Survey grid references. Cambria Archaeology Formerly the Dyfed Archaeology Trust, Cambria Archaeology is responsible for the archaeological sites in West Wales. CADW The Welsh historical monument body. Cadw is a Welsh word which means 'to keep'. Cadw's mission is to "protect, conserve, and to promote an appreciation of the built heritage of Wales". Ancient Monuments of Wales "The Royal Commission on the Ancient and Historical Monuments of Wales (RCAHMW) has a national role in the management of the archaeological, built and maritime heritage of Wales as the originator, curator and supplier of authoritative information for individual, corporate and governmental decision-makers, researchers and the general public. To this end it surveys, interprets and records the man-made environment of Wales; compiles, maintains and curates the National Monuments Record of Wales; Promotes an understanding of this information by all appropriate means." . Local History Resources Site This takes you to dozens of links to books, archives, censuses, parish records  everything in fact youd need for local history and genealogical researches. The "Lookup Exchange" button takes you to a list of Welsh history books. This includes local history books, written in English, Welsh and translations from the Welsh. The South West Wales Lookup Exchange takes to to resources for the counties of Carmarthenshire, Cardiganshire, Glamorgan, Pembrokeshire and All Wales, the One Name Database. South Wales Coalfield Collection "The South Wales Coalfield Collection (SWCC) succeeds through its variety of archival media in giving an insight into the experience of the South Wales Valleys during a period of industrial turmoil both from an institutional and personal perspective. It contains records of trade unions (notably the South Wales Miners' Federation, later the National Union of Mineworkers, South Wales Area) and the Iron and Steel Trades Confederation, (South Wales Division), miners' institutes, co-operative societies, and individuals connected with the mining community." It includes records from the Amman Valley.